Commercial Litigation Attorney Steve Hulst was named to the 2018 Benchmark Litigation “40 & Under Hot List.” Selected through an extensive examination process of litigation specialists in the United States and Canada, Hulst is among only eight other Michigan litigators under the age of 40 to be included in this year’s publication. Hulst concentrates his practice on helping business owners navigate their issues in both the Federal Court and the Michigan Business Courts. He represents clients in a variety of business disputes including those involving breach of contract, sales-commission disputes, conversion and embezzlement, fraud, and breach of fiduciary duty. Hulst also specializes in cases involving business valuation, shareholder oppression, and dissenter’s rights. Adding further specialization and expertise, he has also completed and passed business-valuation courses offered by the American Society of Appraisers as well as the American Institute of Certified Public Accountants. Some of his recent representative highlights include obtaining a $500,000 judgment on conversion and statutory conversion claims and treble damages under the statute – a unique result under Michigan law. He also defended a $1.2 million sales-commission dispute that resulted in a “no cause” verdict. 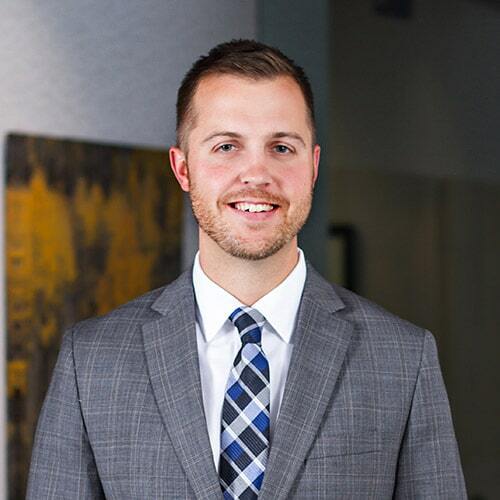 His work has also been recognized by his peers, with inclusion in Michigan Lawyer’s Weekly 2014 “Up and Coming Lawyers” and as a Michigan Super Lawyer in the area of Business Litigation. Chair of the firm’s Litigation Practice Group, Hulst provides educational resources to clients and professionals by publishing and reporting on decisions rendered by the Michigan Business Courts. He also chairs the firm’s Recruiting Committee. Hulst earned his law degree from Valparaiso University School of Law and his undergraduate degree from Hope College.